Slovenia’s Julian Alps have been announced as one of the world’s top three must-visit regions in Lonely Planet’s Best in Travel 2018. The Julian Alps offer true mountain bliss. 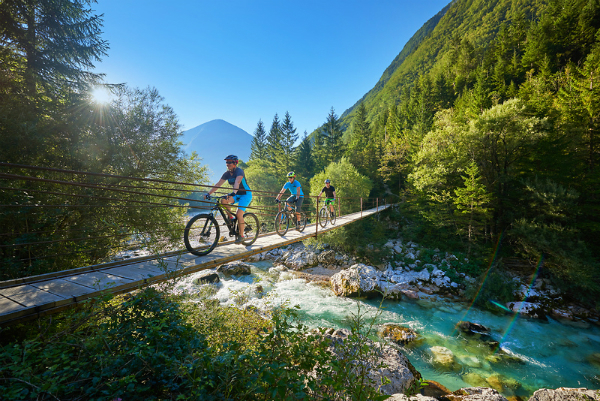 Over two-thirds of the region is protected by the Triglav National Park (TNP), which is one of the oldest European parks, and the earliest records of its protected status date back to 1906. The Julian Alps are full of glacial valleys, friendly villages, green forests, high Alpine meadows and flowers. No wonder the Lonely Planet ranked it third of the Top 10 Regions to visit in 2018. Explore the Julian Alps and read about Julian Alps ranking third in Lonely Planet’s Top 10 Regions to Visit 2018 in the PR here.